and one package of bacon. Open your package of bacon, but don't separate the pieces. and slice into strips perpendicular to the length. 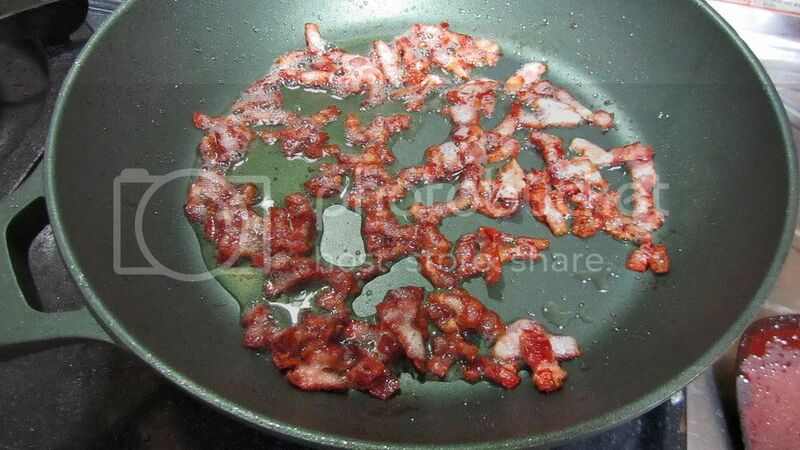 Heat up your frying pan and add your bacon strips to the hot pan. and stir occasionally with a spatula. As the bacon strips cook they will separate into bits. 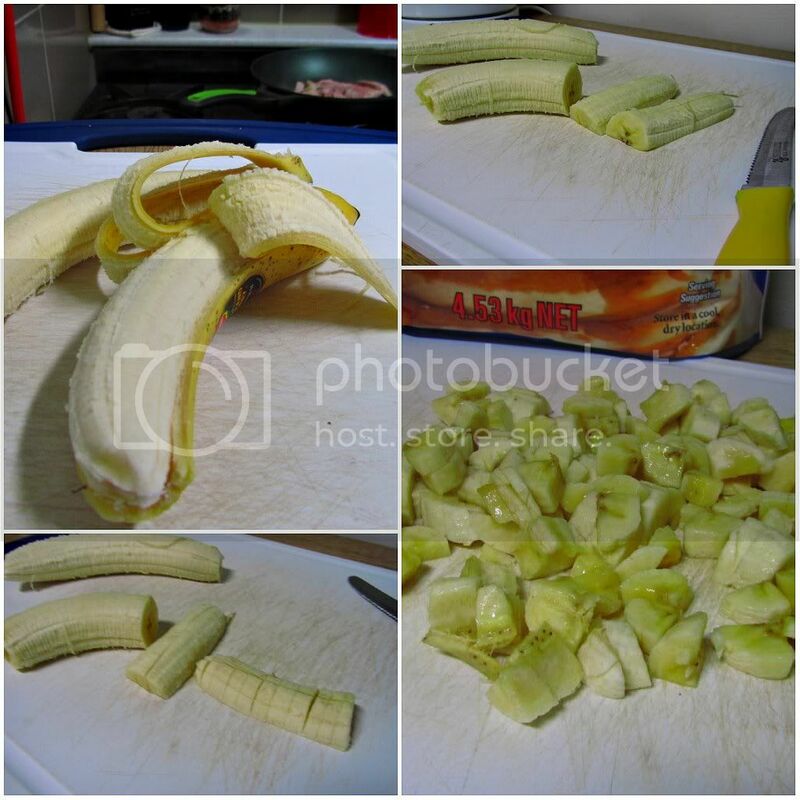 While the bacon cooks, slice up your bananas into small pieces. 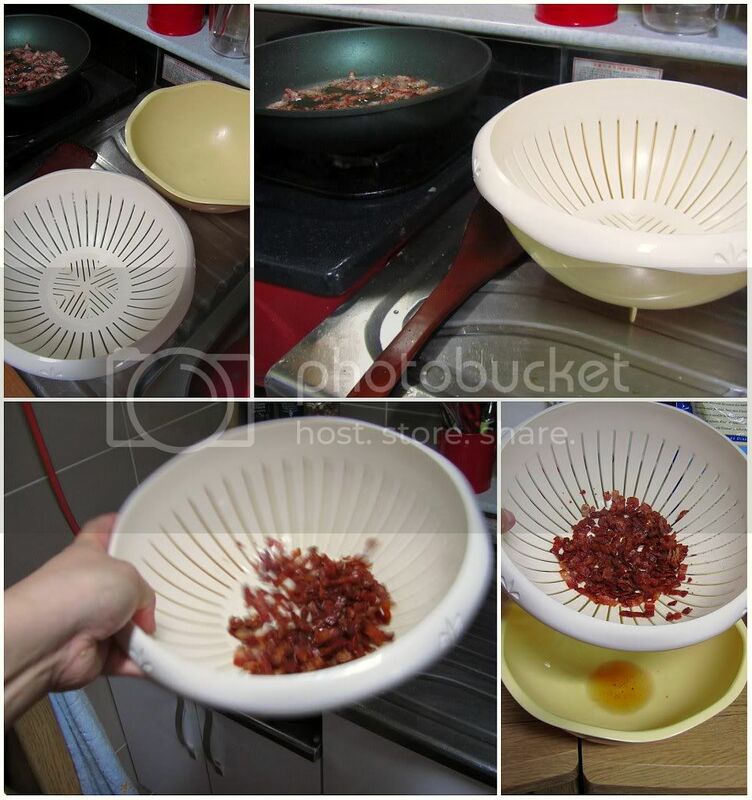 turn off the heat and drain your bacon pieces. underneath it and catch all the stuff that needs to drain. Find one and use it for stuff, I recommend it. and excess grease drains down into the bowl. Bacon stays crispy, Ferial stays happy. 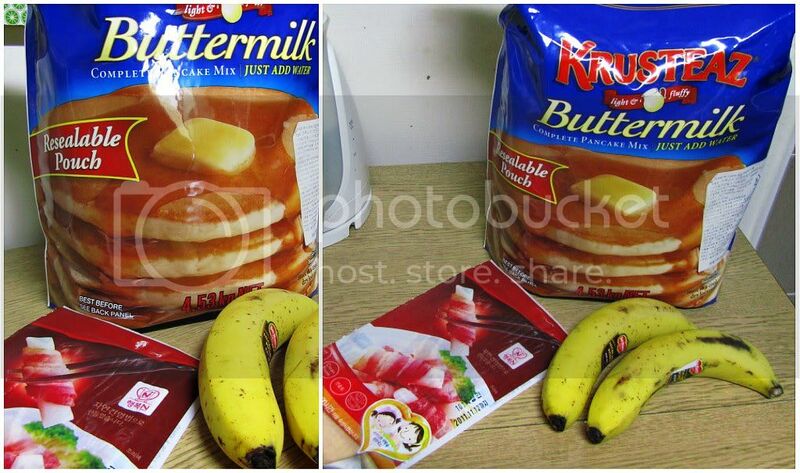 Prepare your pancake batter in your preferred way. 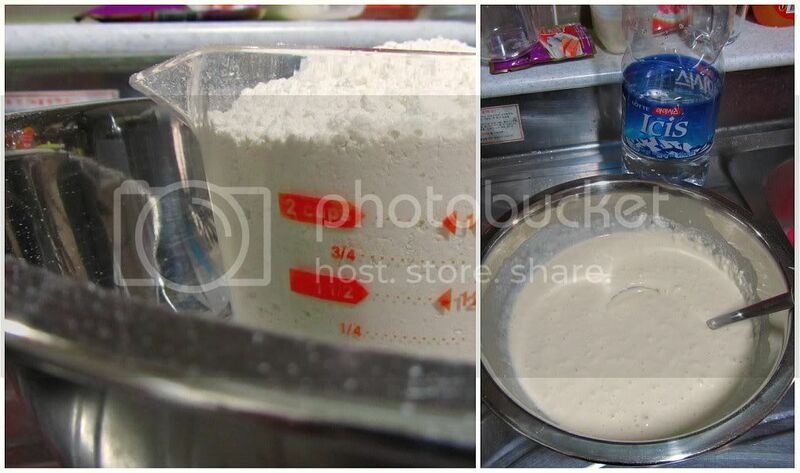 or make your batter from scratch if you like. not too thin but not too thin. 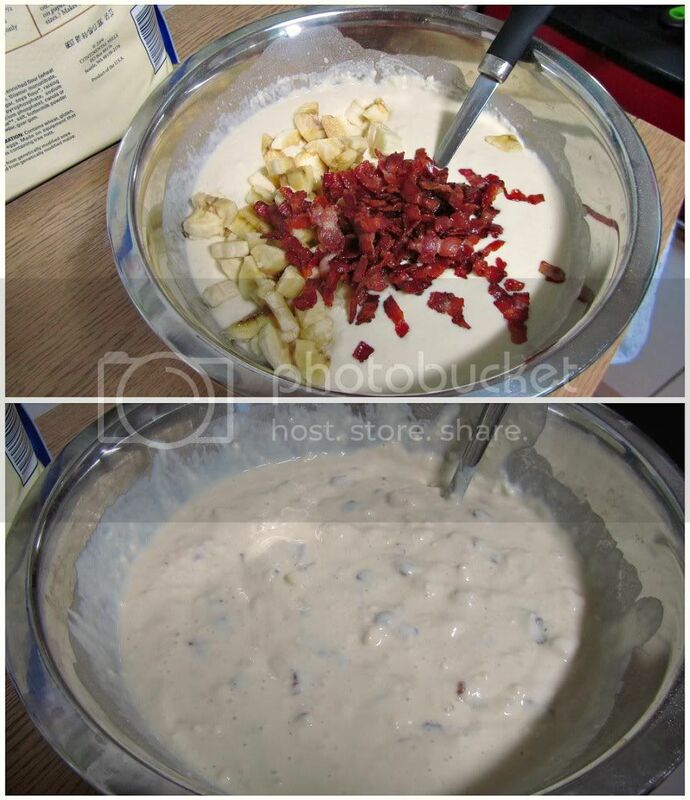 to the batter and gently incorporate them into the batter. 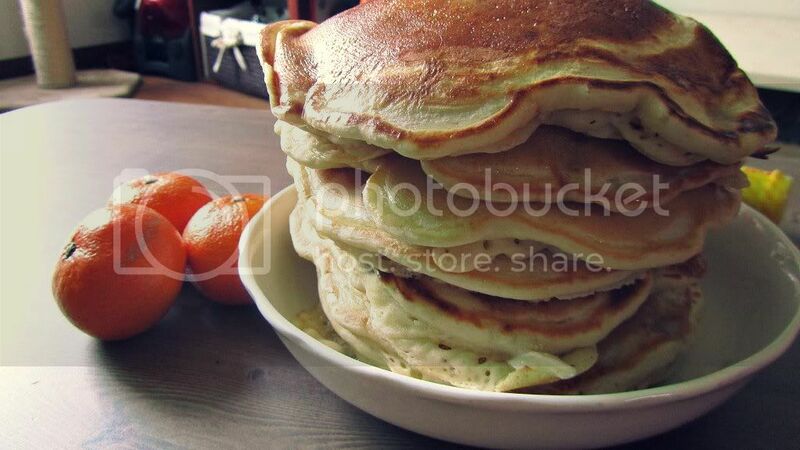 and start cooking those pancakes! I use a non-stick skillet and a standard sized ladle. 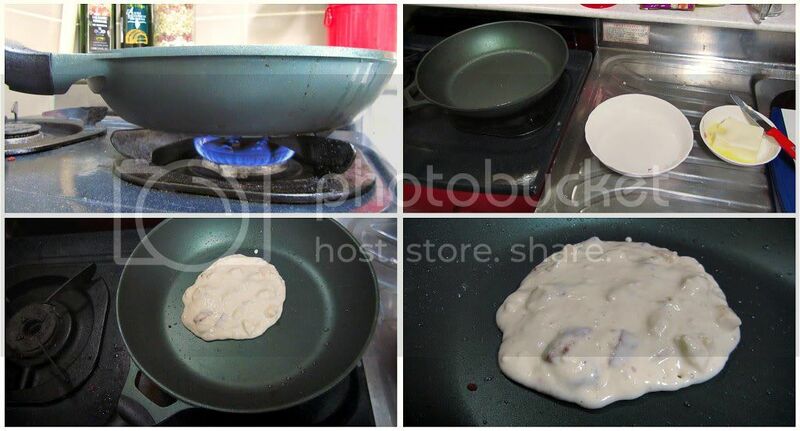 makes the perfect size pancake! so make sure to cook them all the way through. for buttering the pancakes that just come off the pan. 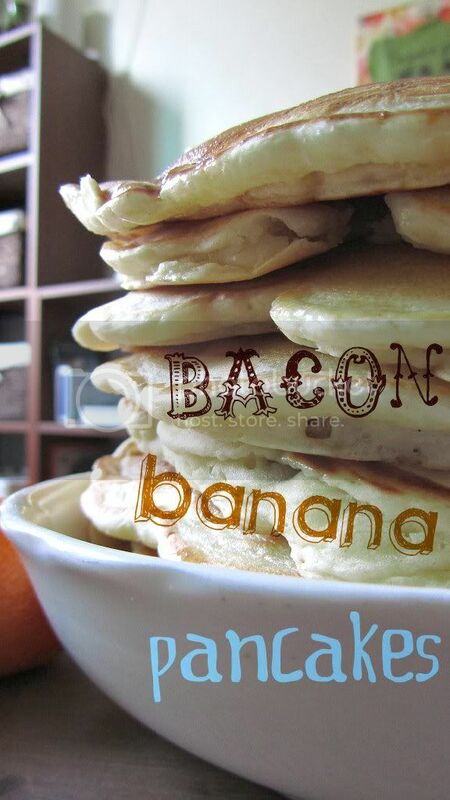 The mixture of bacon-banana-syrup flavors are amazing! Nov 3 Happy birthday, Hubs!